Real Madrid are reportedly set to sell Gareth Bale in the summer transfer window amid speculation that he’s a target for Manchester United and Liverpool. It was claimed by Don Balon recently that the Wales international had offers from both United and Liverpool, though his preference if he were to leave Madrid would be for a move back to his old club Tottenham. 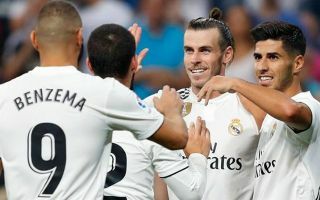 Bale, however, now may not have much choice over the matter as it seems Real have made a decision to sell after what Don Balon are describing as a ‘disrespectful gesture’ to the club. They claim the 29-year-old left the pitch injured against Real Sociedad and didn’t stay at the Bernabeu to watch until the end of the game. If true, this is a bit of a bad look from Bale, whose commitment to the cause will be questioned after a generally unconvincing season on the pitch anyway. Gareth Bale transfer to Manchester United or Liverpool as Real Madrid exit looks likely? While Bale would no doubt get into most Premier League sides and add pace and a goal threat to both United and Liverpool right now, perhaps some caution could be advised over the player. Despite being electric in his time at Spurs, the Welshman hasn’t ever really replicated that consistently in nearly six years in Spain. Bale could of course get back to his best in English football, but United and Liverpool could perhaps do with exploring other attacking options and targeting younger players with a better recent record in terms of both fitness and performance levels.